The Oregon men’s basketball team is currently in the middle of what can only be described as a tumultuous season. After a convincing 95-72 win over Washington State at Matthew Knight Arena, the Ducks are now 17-7 (7-4 Pac-12) and are sitting on the proverbial “bubble” for a bid to the NCAA Tournament. 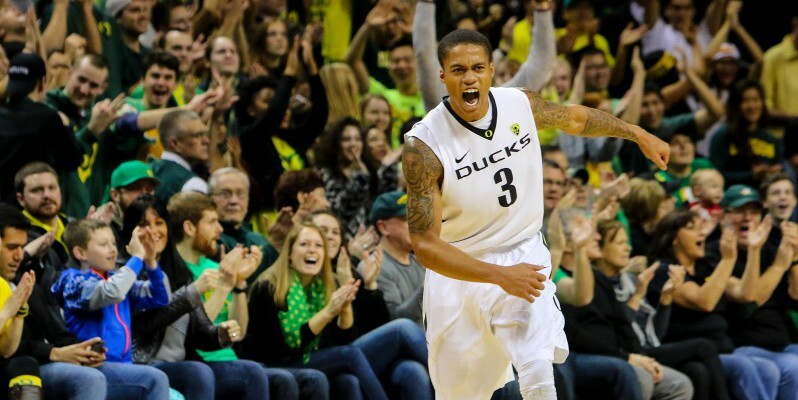 The Oregon Ducks led by senior Joseph Young still have a chance of an invitation to the NCAA tournament. Oregon continues to move forward despite some shaky performances at Washington and Arizona earlier this year, and the Ducks’ RPI (Ratings Percentage Index) is currently at 59. The RPI is one of the tools utilized by the NCAA Selection Committee since the 1980s to select 36 teams for the annual tournament. Thirty-two teams receive automatic bids to the NCAA Tournament upon winning their conference tournaments. The Ducks are on the right path, winning four of their last five games, and sitting firmly at third place in the Pac-12. Oregon’s strongest wins this season are over Illinois and UCLA, teams within ESPN’s Top 50 RPI. With seven games left until the Pac-12 Tournament, the Ducks have more work to do if they want to muscle their way into the “Big Dance,” including an important game at home against No. 11 Utah on February 22. The mad dash for the tournament makes for exciting basketball in the month of February. Five of Oregon’s remaining seven games are on the road, and teams are generally more comfortable as they face each other for the second time. 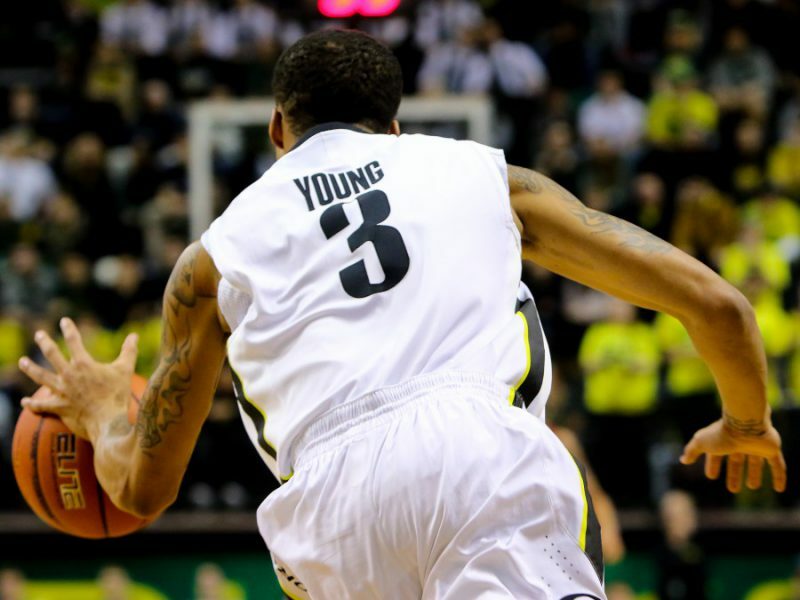 Oregon senior guard and lead scorer Joseph Young was recently named the Pac-12 Player of the Week, accumulating more than 2,000 career points and providing a consistent high level of play that has kept Oregon afloat. But Young & Co. will have to continue to play spirited basketball if they want an outright tournament invitation. Right now, the Ducks are on a roll and need to maintain their momentum as they approach the final leg of the season. The Ducks look to take one step closer to achieving their postseason aspirations against USC tomorrow night at the Galen Center in Los Angeles.